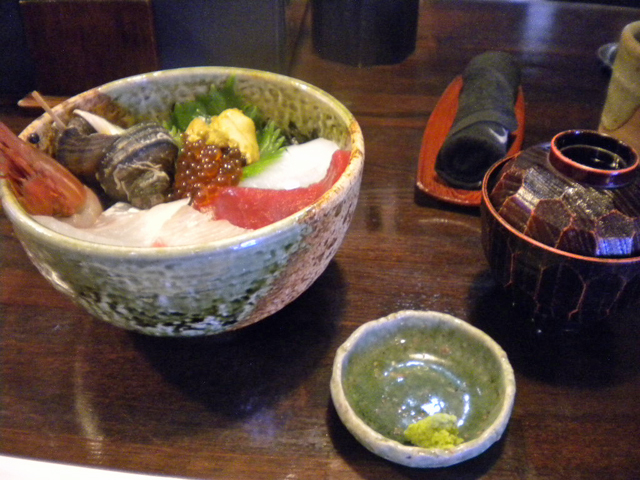 I went to Shimanami Kaido's Ohshima because there is "雅(Miyabi)" which is a shop that let me eat live fish dishes. 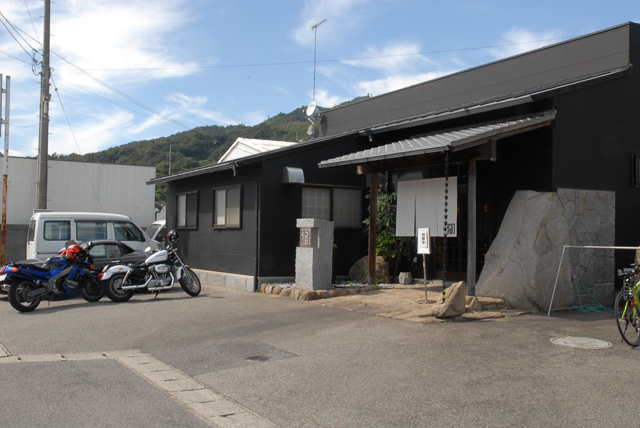 It is the appearance of the shop. There were not too many cars stopped because this day was a little late for the lunchtime. Oshima is the origin of granite. 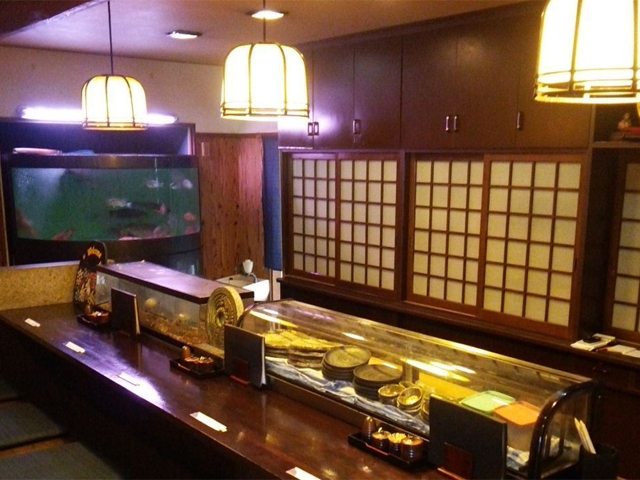 The appearance and the interior of the store which used the Ohshima stone abundantly feel the goodness of the item and the height of the formality. 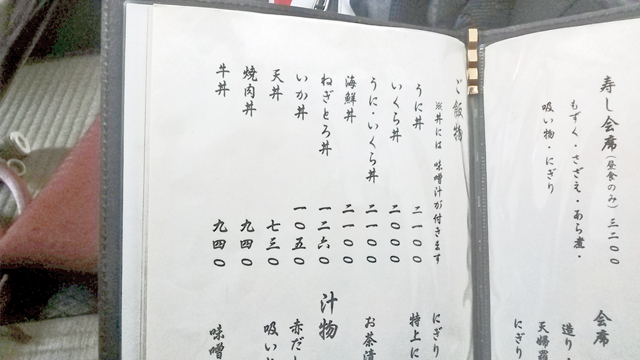 Food menu does not appear in the table, so some pelple might think that "this might be expencive", and avoide for the first time. 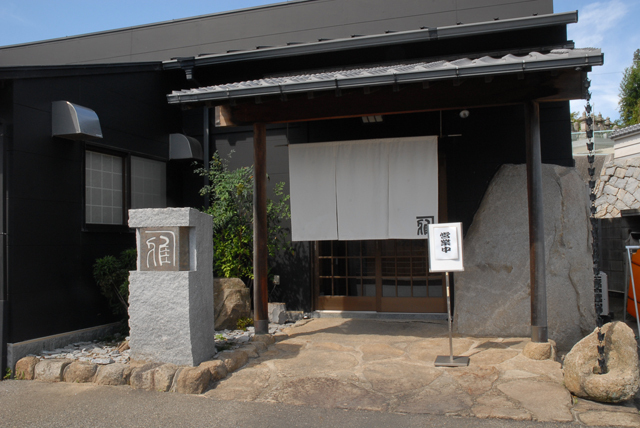 The TAISHO(chef) seems not to be friendry at first glance, but actuallyis very kind to me when I talked. A man cannot be judged only by the first glance (sorry! ); he speak with a gentle voice. "雅(Miyabi)" seems famous for sea urchin bowls according to magazines, but on this day it was "sea urchin bowls unabailable today," so I took a seafood bowl. 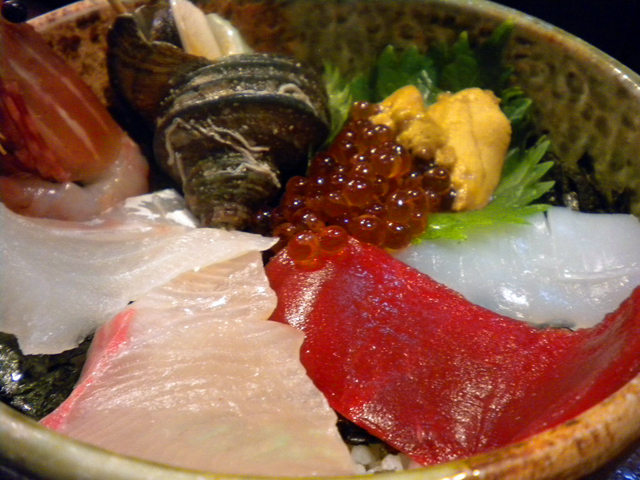 It is a seafood rice bowl with plenty of fresh sashimi cut at Miyakubo port in a big bowl. It is truly delicious. It is a pity that sake can not be drunk. I just ate a delicious seafood bowl after a long absence since I came here. There may also be people who have a high 2100 yen (including tax), but I was very satisfied with "This fresh seafood freshness and Shari's deliciousness is OK at all", and I was able to get seafood bowl . I ate a bowl of rice with "雅(Miyabi)"
I was very satisfied with the seafood bowl at the last cycling but today I asked the company with my seniors. 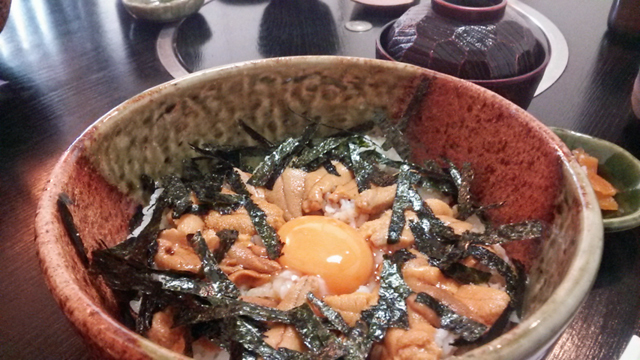 My seniors said that they want to eat delicious seafood bowls. When I came last time it was rattling because the time was deviated from meal, but today it seems that there are several pairs of counters and an intersection, so ask politely "I will take time, but I do not mind" It was done. My seniors bowl of seafood, I got a sea urchin bowl of rice at last. As expected it is just being introduced in magazines etc. 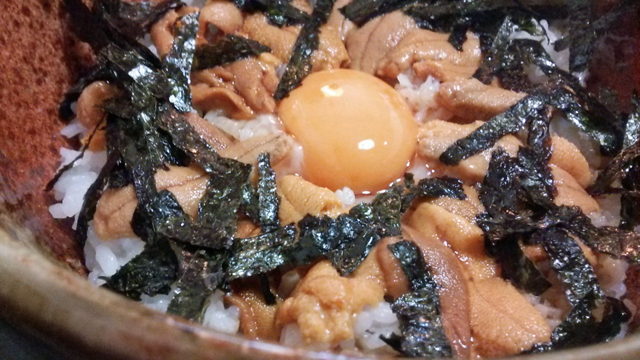 The satisfaction level of sea urchin rice is very high. Sweeeet sea urchin makes me a very happy feeeeeling at all. "I'm fine this seafood bowl is delicious.Really fresh, there is a volume, I'm satisfied" I'd be delighted It was. In our age, "I want to eat something delicious even if it is high"
which makes me fully satisfied with the satisfaction though it is getting older.